Kamal Opens Up About His Love Tragedy! Finally, Yashika-Mahat story came to an end. Yashika accepted that she has fallen in love with Mahat but still respects his life while Mahat chooses to stay loyal to his girlfriend. "Whether or not you get love, you have to give! The society has put a certain barrier for love and it's not like that. Love is love. Love is not all about love letters or sitting on the beach and holding hands. It's beyond that. I've done it many times in my life. None of it is untrue. Every time it doesn't be returned I kept that love. That's why I can write poems and I can tear up. When I see you, youngsters, I understand. I won't tease you as an old man saying you are spoiled. I can understand because I haven't forgotten. I haven't forgotten my love and friendship." Is he hinting Gauthami when he said I haven't forgotten love and friendship? Their highly-publicised break up came as a shock to many as they used to be top in the list of our couple goals. 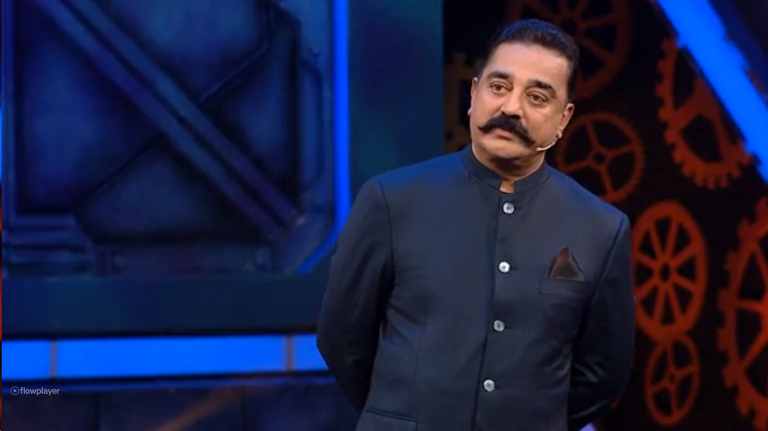 Kamalhassan sure has his own set of controversies with previous marriages and affairs but when he finally settled with Gauthami, we really did hope for it to be 'a happily ever after'. Sadly, nothing lasts in Kamal's life. But, to think that he cherishes all the love and pain, we can now see where his passion and fire to keep outperforming himself come from. What did you think about his confession today?